Since You Didn’t Ask . 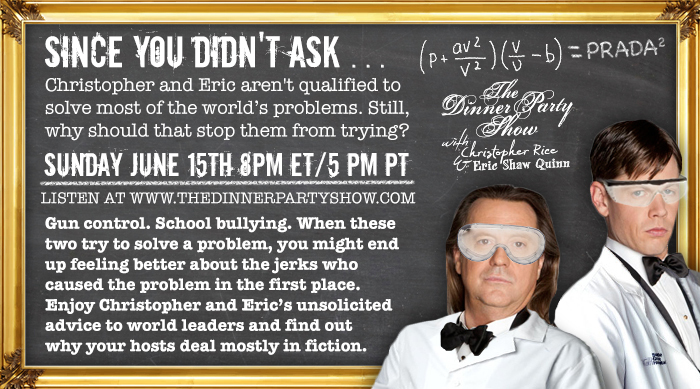 . .
Christopher and Eric aren’t qualified to solve most of the world’s problems. Still, why should that stop them from trying? Gun control. School bullying. When these two try to solve a problem, you might end up feeling better about the jerks who caused the problem in the first place. Enjoy Christopher and Eric’s unsolicited advice to world leaders and find out why your hosts deal mostly in fiction.